Jussie Smollett has been removed from the final Season 5 episodes of the Fox series "Empire" in the wake of his arrest Thursday morning. "The events of the past few weeks have been incredibly emotional for all of us" said series executives Lee Daniels, Danny Strong, Brett Mahoney, Brian Grazer, Sanaa Hamri, Francie Calfo and Dennis Hammer in a statement released Friday. "Jussie has been an important member of our 'Empire' family for the past five years and we care about him deeply. While these allegations are very disturbing, we are placing our trust in the legal system as the process plays out. We are also aware of the effects of this process on the cast and crew members who work on our show and to avoid further disruption on set, we have decided to remove the role of 'Jamal' from the final two episodes of the season." Fox had previously issued multiple statements in support of Smollett, referring to him as a "consummate professional" during his time on "Empire." The tone shifted, however, following his arrest, with the network saying they were "evaluating the situation" and "considering [their] options." Whether or not Smollett will return to the show should it gets picked up for a sixth season remains to be seen. Smollett surrendered to authorities and was arrested early Thursday morning in Chicago. He is charged with filing a false police report and disorderly conduct. The actor and musician claimed that he was the victim of an assault in the early morning hours of Jan. 29 in Chicago, stating two men hurled racist and homophobic slurs at him, beat him, poured bleach on him, and placed a rope around his neck. Smollett also said that the two men used the phrase "MAGA country" during the assault, a reference to President Donald Trump and his "Make America Great Again" slogan. However, investigators now believe Smollett paid two acquaintances - brothers Olabinjo Osundairo and Abimbola Osundairo - to help him stage the attack. Police previously arrested the brothers, but they were later released without being charged. They are now cooperating with the investigation. During a press conference Thursday morning, the Chicago PD stated they believed Smollett staged the attack because he was "dissatisfied with his salary" on "Empire." They also said they believe Smollett had sent a threatening letter to himself that was received at "Empire's" Chicago production office days before the attack. Smollett and his representatives have repeatedly denied that he staged the attack. He was released on bail on Thursday afternoon and returned to the set of "Empire." As Variety reported on Tuesday, Smollett could face jail time for the charges against him, with falsifying a police report being a Class 4 felony in Illinois. Smollett has been a key cast member on "Empire" from the show's beginning. He won significant praise when the show premiered for portraying Jamal Lyon, the gay son of music mogul Luscious Lyon. 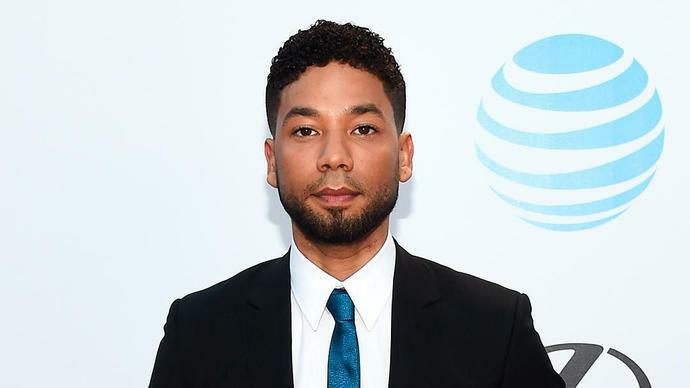 CHICAGO (AP) - Two brothers who say they helped Jussie Smollett stage a racist and homophobic attack against himself filed a lawsuit Tuesday against the "Empire" actor's attorneys, alleging that they repeatedly asserted publicly that the brothers carried out a real, bigoted attack on Smollett despite knowing that wasn't true.